Charge up to four BPU-type batteries with the BP-ATM4 BPU ATOM 4-Channel Fast Charger from Hawk-Woods. 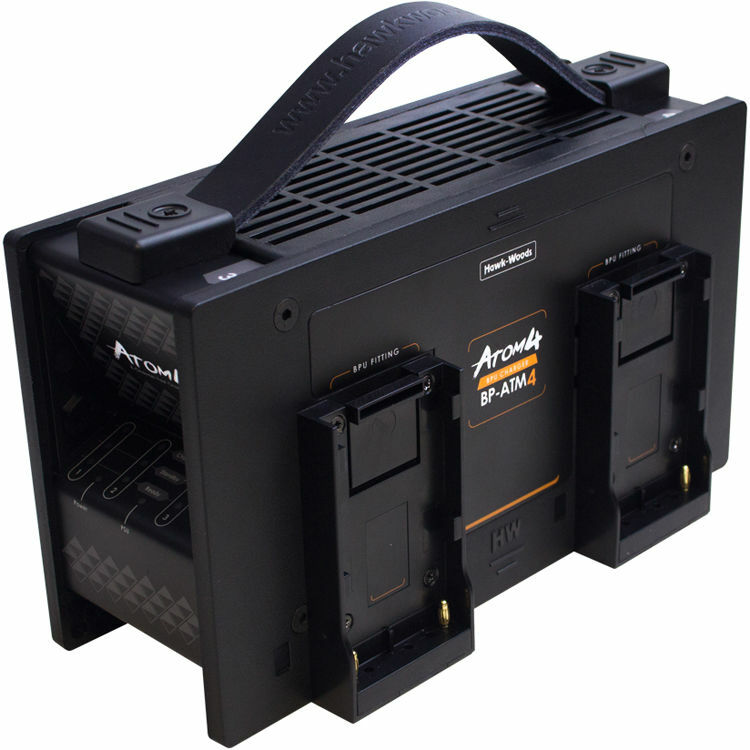 Compatible with Sony BPU-type batteries, the four-bay BP-ATM4 charges up to two batteries simultaneously and features a 16.8V, 60W, 4-pin XLR power output. Additional features of this sleek, lightweight ATOM charger include a recessed LED intelligent status display, a 90 to 260V power input range, and a leather carrying handle.